Williamsburg’s Pudge Knuckles has been closed by the state for 13 open warrants for tax evasion, but are apparently they’re trying to work it out with the State Department of Taxation and Finance, according to DNA Info. We’re surprised they haven’t been shuttered before now for taste evasion. This coming Saturday from 12-5pm, Black Label Donuts is holding a popup at one of our favorite Flushing shops, Cafe de Cupping. Black Label is a Queens small batch doughnut provider that we are looking forward to trying. The New York Times reports that Kobrick’s, one of the area’s oldest coffee roasters, is opening a cocktail coffee bar in the Meatpacking District, their first retail operation. The last time I knowingly had Kobrick’s is when East Broadway’s 12 Corners first opened and maybe one time or other when Doughnut Plant was still using their coffee. 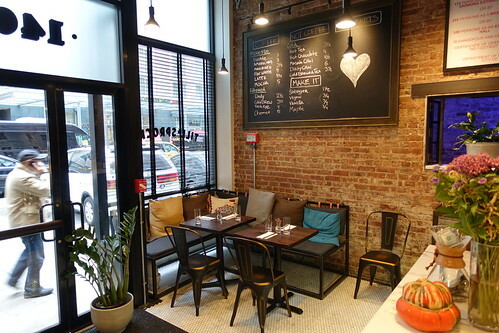 According to Bedford & Bowery Orchard Street’s Lost Weekend will close. Has it really been four and half years? Sheesh. We didn’t get there often, but I suppose it will be missed. 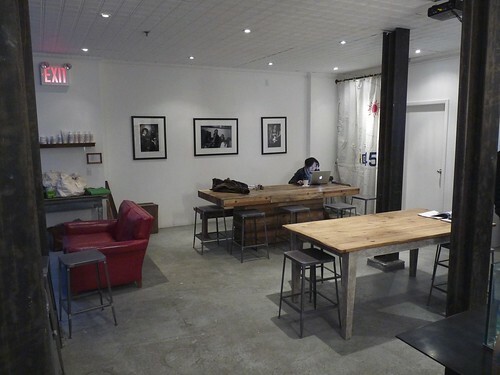 The Tribeca Citizen reports that Jack’s Stir Brew is opening in the Roxy Hotel in April of this year and compared the shop to Stumptown, saying it would have its own entrance, just as the Stumptown in the Ace Hotel does. Of course that’s as close to Stumptown as Jack’s Stir Brew can hope to get. I’m still in my apartment and out of beans – as soon as I’m done with this I’m heading out for coffee. Here’s what I was able to dig up so far. In no particular order. 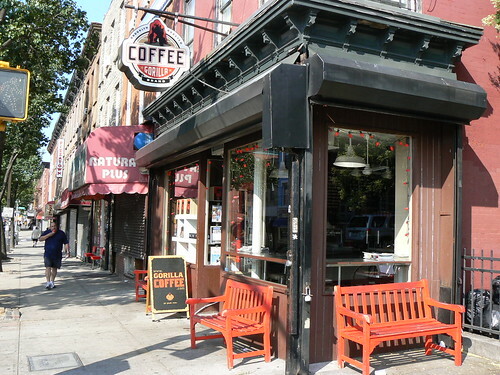 Two self-coffee roasters, East Village shop Coffee Project reports they’re hoping to open at 11:30am, while West Village Prodigy Coffee will be open until 7pm. 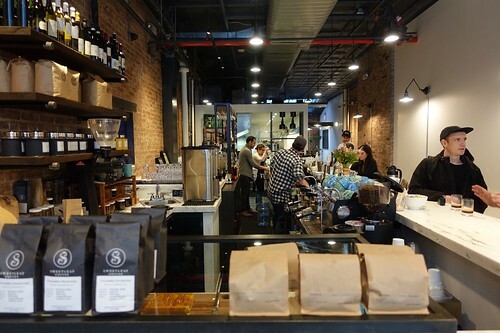 Milk & Pull’s two shops in Bushwick and Ridgewood will be open regular hours today. 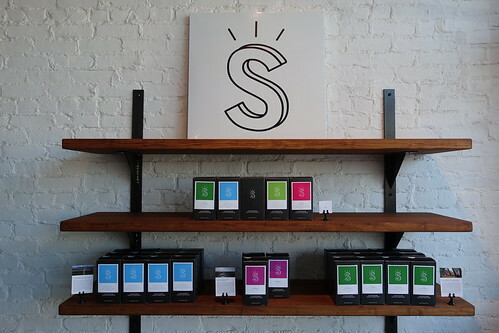 Bushwick shop Strangeways is also open today as of 10am, while new coffee roaster on the block, Supercrown, is open as well. It’s Topos Bookstore Cafe’s one year anniversary today, so I know they’re open – a good reason to make it to Ridgewood tonight. It looks like 1080 Brew is also open thereabouts. Multi-branch shops: All Toby’s Estate Coffee branches are open today except for Vanderbilt. 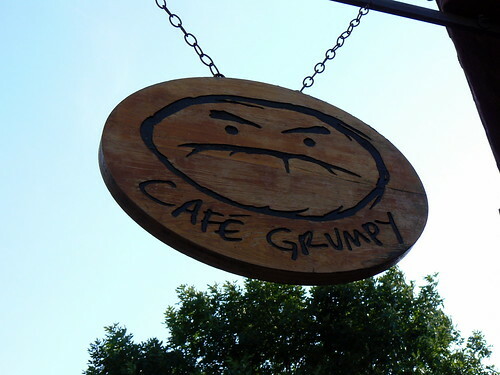 All Cafe Grumpy branches are open. The Wburg branch of Van Leeuwen is open and all other shops should come online soon. La Colombe’s shops are all ready to “serve you a hot one.” Check Bluestone Lane’s Instagram for openings. Most shops are up. 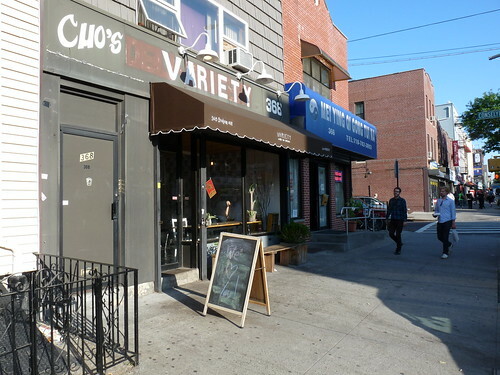 Variety‘s three Williamsburg and Bushwick shops are open. Sweetleaf’s Instagram is inconclusive – check before you go. The Hunters Point shop is definitely open. All Brunswick cafes are open. 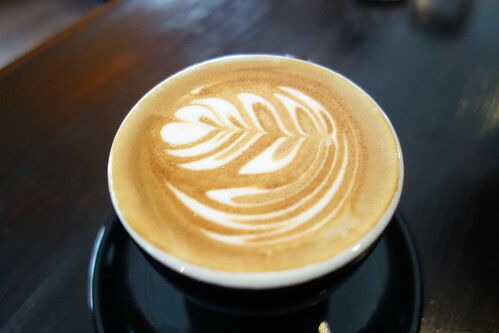 No word from Joe the Art of Coffee – or are they just Joe these days? 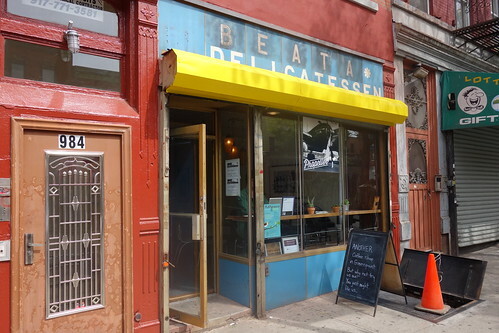 Ovenly’s Manhattan and Brooklyn locations expected to open around 930am, but check before you head over, which is lucky, because Ridgewood’s Buttah Bakery is closed. Midtown West Frisson Espresso customers are out of luck, but if you hike even further west, you can grab coffee and doughnuts at Underwest. Eastwards, you can find coffee at Ground Central. Most of Van Leeuwen‘s shops are open. In Greenpoint, Budin and Propeller are both open regular hours today. Northside Matcha Bar NYC is open (and I assume their Chelsea shop too), while Williamsburg’s Southside shop Devocion promised last night to open today at 8am, but you might want to check before you head over. Nearby, Sweatshop Coffee is there for you. If you need a vegan crepe, Little Choc Apothecary has your back. In East Williamsburg, in addition to Variety, Graham Ave newcomer Charter Coffee is looking forward to being stuck in Brooklyn with you. 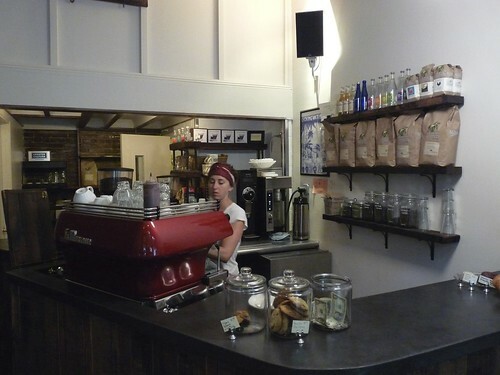 In Astoria, Kinship Coffee Cooperative is open. 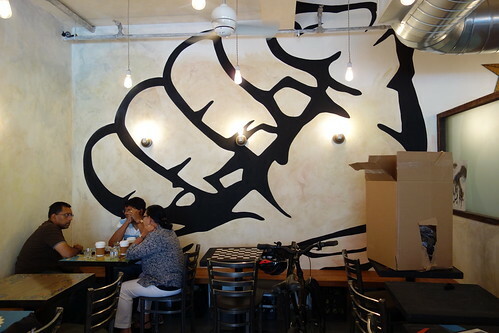 Downtown Flushing’s Presso Coffee is open. 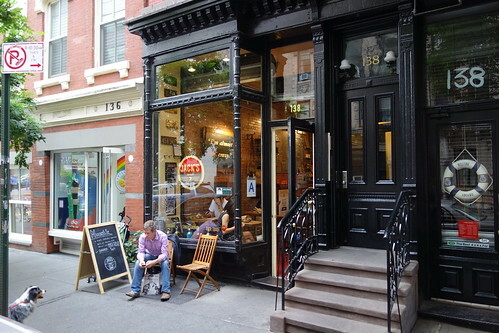 According to Bedford & Bowery, Cafe Grumpy has signed a 15-year lease in the Brewster Carriage House, a luxury condo on the corner of Mott St and Broome St in Nolita. Bushwick’s Supercrown Coffee Roasters gets a blurb in the NY Times, with special mention for their supposedly unusual coffee drinks. DNA Info follows the same line, so I guess the unusual coffee drinks were in the press release. I am looking forward to trying the Scandinavian Kaffelemonade, when warmer weather comes our way, two parts iced coffee and one part lemonade, according to DNA Info. Darleen Scherer, formerly a partner in Park Slope’s seminal Gorilla Coffee, has great design sense – hopefully she brought that to her new shop. We’re looking forward to checking it out. Lazy Llama Coffee, a new East Village cafe, is coming to the space that most recently hosted the second iteration of Bluebird Coffee. Confusing, I know. Here’s the entire history of this space as a cafe. 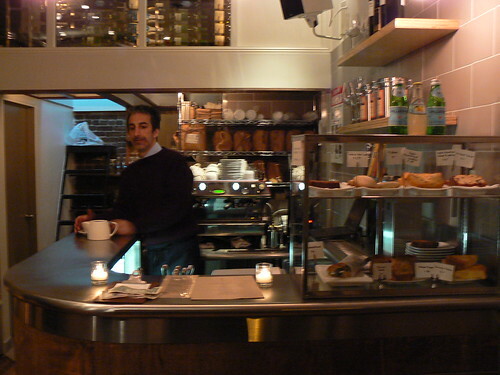 Back in 2008, Simon Sips – of Bryant Park kiosk fame – opened an attractive small plates / craft beer / specialty coffee shop in this space, which unfortunately failed quickly due to a delayed opening that occurred smack dab at the beginning of the financial crisis and a bitter winter. 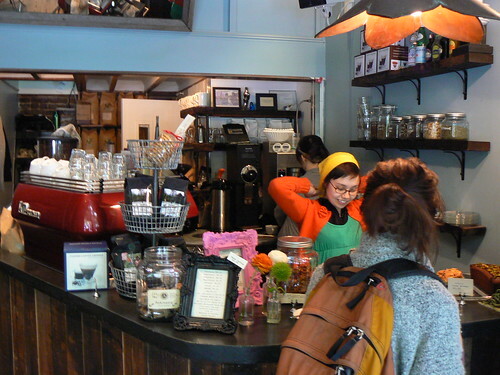 It then became the first incarnation of Bluebird Coffee, a fave of ours, for friendly service, baked goods and quality coffee, but the owners sold out to Alexander Hall of Cafe Madeline and Milk Bar, and more recently, Brunswick Cafe, in 2011. This second incarnation lasted until present day, late 2015. Alexander Hall also recently closed a nearby branch of Brunswick Cafe on Clinton Street (formerly known as Rosella Coffee). Humorously, to me, EV Grieve attributes the Bluebird closing in part to this being a competitive area for coffee, when in fact, there is no good coffee within many blocks. Hopefully Lazy Llama will hold up in this regard. (Edit: If you’re just reading this now, it’s already too late.) West 30s Garment District shop Till & Sprocket, open for 10 weeks, is the best new shop we’ve been to in a while, but unfortunately they are downsizing their coffee program in two to three weeks. Apparently, their inclusive business model, which includes farm to table fare, a daytime cafe, craft beer, craft cocktails, and an attached co-working space, is over budget, and they’ve sadly decided to deprecate the part we care about the most. Josip Drazenovich, most recently of Odradeks, designed the entire drinks program, on the coffee side bringing in Lofted (roasted in Bushwick) and Sweetleaf (roasted in Greenpoint). Sweetleaf’s roasting has finally hit its stride, and Josip pulls great shots of their Slapshot espresso. 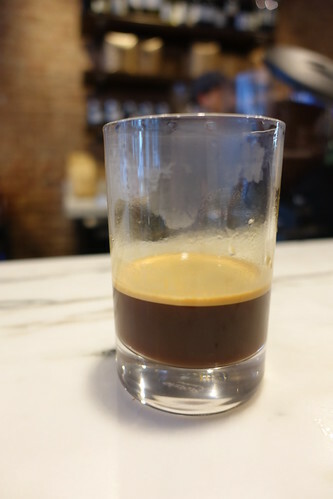 Till & Sprocket is also one of the few shops in New York City with a Mahlkönig EK 43 grinder, a tool that, paired with a knowledgeable operator, can produce a thick, long espresso drink sometimes called an EK shot. 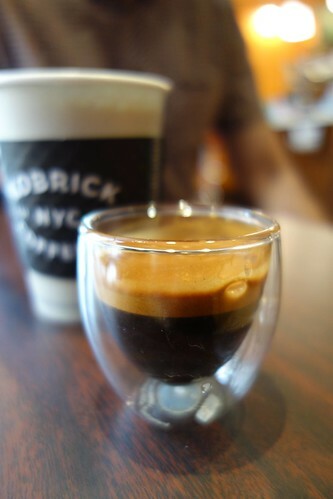 Stop in before Till & Sprocket dumbs down their coffee program and ask for a delicious Lofted EK shot. © Project Latte. All Rights Reserved.